Atmospheric concentrations of carbon dioxide are climbing, in large measure because of China’s production and combustion of more than 3 billion metric tons of coal annually, or nearly four times as much coal as the United States produces and burns. One of the solutions — though it is attracting rigorous opposition in the U.S. — is replacing coal with cleaner-burning natural gas. Even with protests over fracking, natural gas is replacing coal in the U.S., where technical advances in drilling and production technology are yielding a motherlode of oil and gas from the country’s deep shale reserves. With technical assistance from the Obama administration, China is busy probing its deep shale natural gas reserves, too. 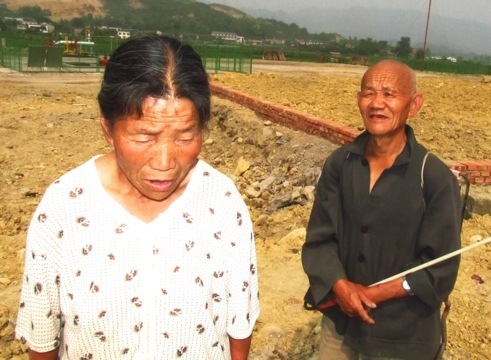 Last year I investigated how well Chinese shale gas development was proceeding, spending more than a week in Sichuan Province, where much of the new development is occurring. My conclusion: China’s hope to replace some of its climate-changing coal production with natural gas is just that, a big hope. Impediments abound. My report is part of Circle of Blue’s path-breaking Choke Point: China project. XINCHANGZHEN, China— Liu Zhongqi’s mud and brick home is set in a cluster of hillside houses in the village of Lao Chang, a serene half-circle of settlement on the west side of this misty Sichuan Province valley. A few steps away is a flooded paddy, about half the size of an American front lawn, where Liu raises rice. Next to that is a slightly larger and deeper pond where he produces fish. 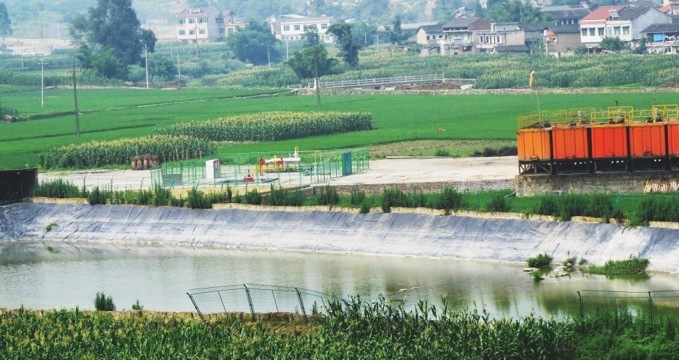 And just beyond Liu’s fishpond is something very new here and potentially momentous: Wei-201H3, one of China’s first horizontally drilled and hydro-fracked deep shale natural gas well. The completion of Wei-201H3 in January 2012 — and the earlier development of two other deep shale wells, drilled within a half-kilometer of Liu’s home — introduced more than the sounds of diesel engines and other industrial dissonance. The new wells, Lao Chang residents told Circle of Blue, have wrecked the pastoral iconography of this valley, a place where repetition and water wove together a centuries-old rural mosaic of green fields and dark ponds. The same can be said for China’s nascent shale gas industry. In November 2009, U.S. President Barack Obama and Chinese President Hu Jintao signed a bilateral agreement to deploy U.S. expertise to develop China’s deep shale gas reserves and Chinese capital to finance the much more mature American shale gas sector. The bilateral pact, formalized in a Beijing ceremony that attracted global media attention, also spurred Chinese and Western energy companies to develop partnerships and dispatch crews and rigs to drill experimental deep shale natural gas wells in bucolic and densely populated Sichuan valleys like this one. 1. Reach a national production target of 6.5 billion cubic meters (229 billion cubic feet) of shale gas by 2015. 2. Duplicate the American shale gas boom. The hope is that by increasing shale gas production, China can begin to wean itself off of coal, as the United States has begun to do. Since 2005, tens of thousands of U.S. deep shale gas wells, drilled in a dozen states, have driven U.S. energy costs down, fueled manufacturing job growth, reduced reliance on coal as a fuel source for generating electricity, and helped U.S. climate-changing carbon emissions to drop to the lowest levels in a generation. But many of Sichuan’s field engineers, analysts, industry executive, and resource managers say there is convincing evidence that China’s shale gas industry is developing at a much slower rate than either Chinese or American leadership had anticipated — in other words, it is hard to see how China expects to even come close to meeting its 2015 production goal. China’s shale gas sector is buffeted by uncertainty about the quality of China’s shale reserves, concerns about scarce freshwater supplies, competition from other energy sources, the potential safety threats posed by a byproduct poison gas, and emerging civic distrust. As a result shale gas development has yet to move any faster than a very slow crawl. See the entire article here at Circle of Blue.